It’s looking like our first harvest of 2018 will be from Mariah Vineyards in Mendocino Ridge. 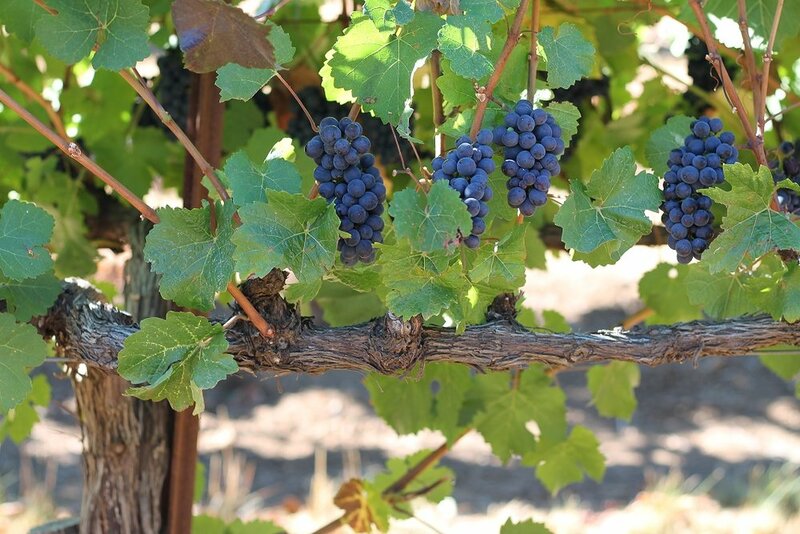 On our September 10 visit to the vineyard, the pinot noir fruit was tasting delicious and sugar levels were on track for a pick within the week. Recently certified as a sustainable vineyard, the fruit that we purchase from Mariah is dry farmed. On a site surrounded by Douglas Fir trees, the 2400 foot high mountain-top vineyard is the highest elevation vineyard that we source fruit from. Waits-Mast has been making pinot noir from Mariah Vineyards since 2012 and we crafted two vintages of sauvignon blanc from the site in 2016 and 2017.